We had every kind of weather. From cool Spring-like temperatures while crawling up Grand St. Bernard to Mediterranean heat in Aosta, Italy having lunch in a park to damp and rainy weather in Ugine, France to clear sunshine in Chamonix. It`s fun cycling through three different countries with different food options, weather and terrain. We stayed in small ski resort towns that offered cute hotel rooms with a homelike character. St petit Bernard....Not so petit though with 1,300m of climbing! 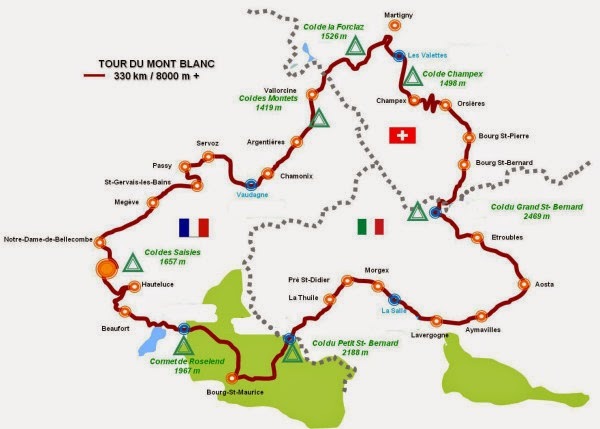 On next weekend`s agenda will be Italy with climbs like Stelvio Joch, Gavia und den Mortirolo.